The “Guesthouse” Update | So Pretty is as Pretty Does. To make sure the building is as water resistant as possible, tar paper was cut and stapled onto any remaining bare wood. Then, the lattice was cut with a circular saw and affixed to the building with white-headed nails. As you can see, the lattice isn’t quite level to the ground, but that’s because the ground isn’t precisely level… This part of the yard is on a hill that needs a retaining wall to support it. That’ll be a fun project coming sometime in the nearish future. In the meantime, I’m still trying to decide what should go around the building. Maybe stone or mulch? If you have any suggestions, I’d love to hear them! Once the lattice was finished, I went to work on prepping for paint. 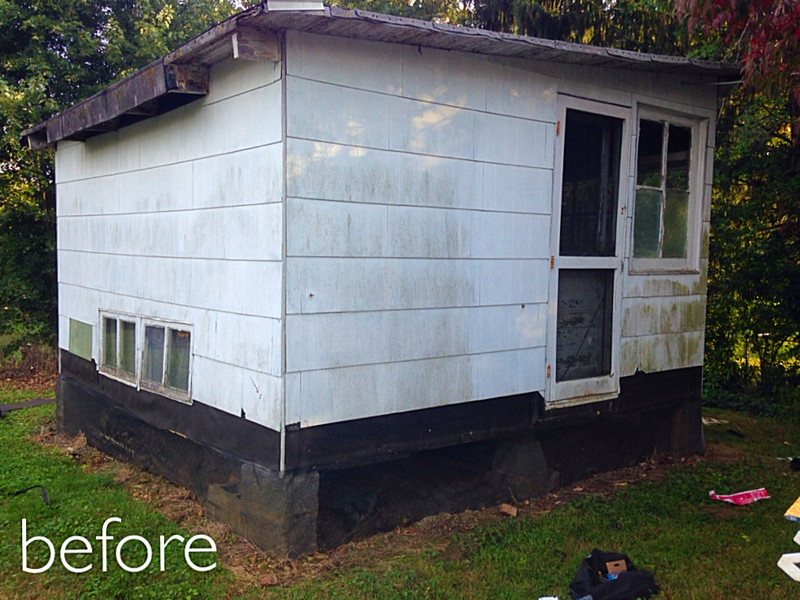 I began by caulking all of the holes, then I caulked all of the gaps in the siding. 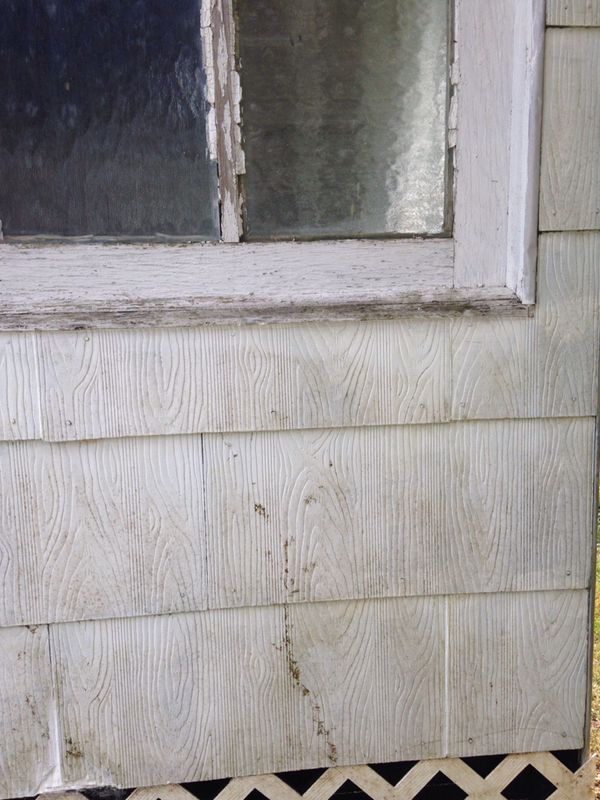 Then, I reshaped all of the pieces of siding that had chipped edges with, you guessed it, caulk. 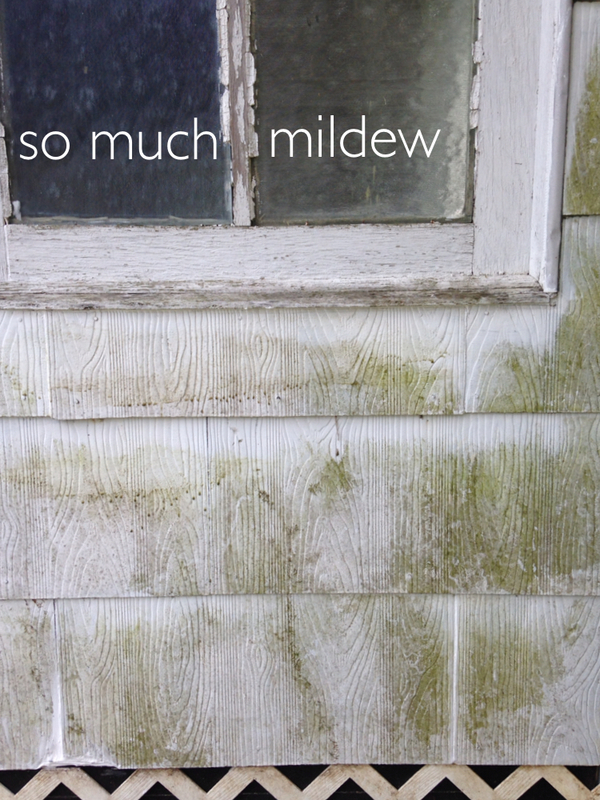 While all of this was curing, I tackled the mildew that had accumulated on the shady side of the coop. Ordinarily, I would have thought to use either a power washer, like I did when prepping the house to paint or maybe bleach. But, then I remembered my absolute favorite cleanser of all time – distilled white vinegar. 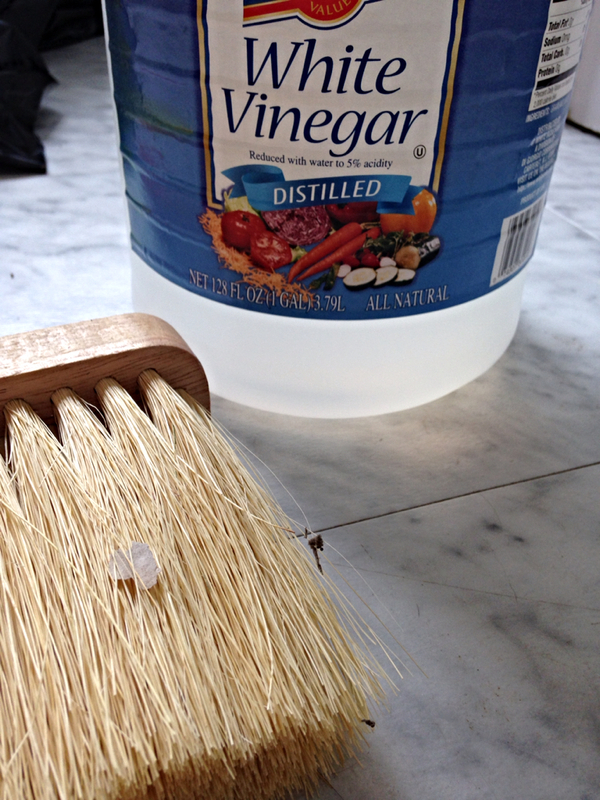 You can check out my post about making your own glass cleaner with vinegar here. Alright, it’s still really really ugly, but it was ready for paint! 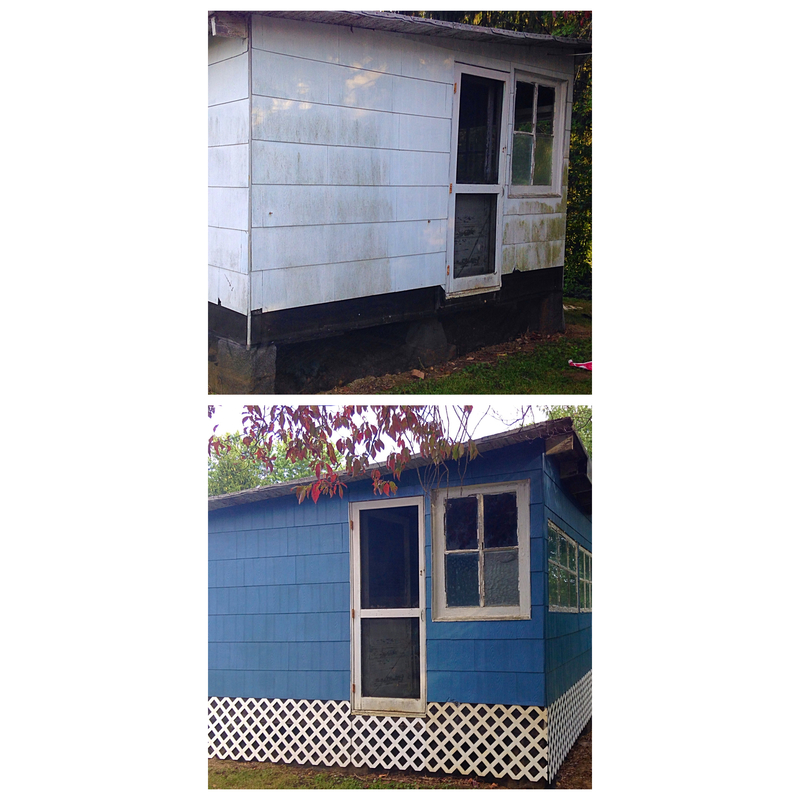 I went with two coats of Bungalow Blue, in keeping with the house and garage. Painting a small building like this seems like it wouldn’t take too long, but it ended up taking around seven hours. John Hardie siding has all kinds of nooks and crannies, so after using a roller I still had to go back over quite a bit of the surface with an angled paint brush. But, all that time wasn’t a total waste, aside from getting the job done, I made a thrilling albeit unrelated discovery! 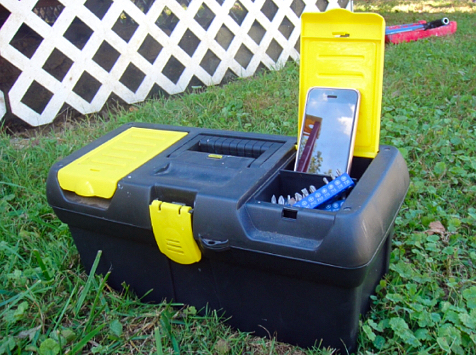 The top of my little tool box, now referred to as “the boom box” (only by me), acts as an excellent sound amplifier. It’s ideal for music or in this instance, Coffee Break French Podcasts and a few lessons later I had a bleu coop. It still needs a bit more work, like a new roof, insulation, reglazed windows, and stairs. You know, all that superficial stuff. 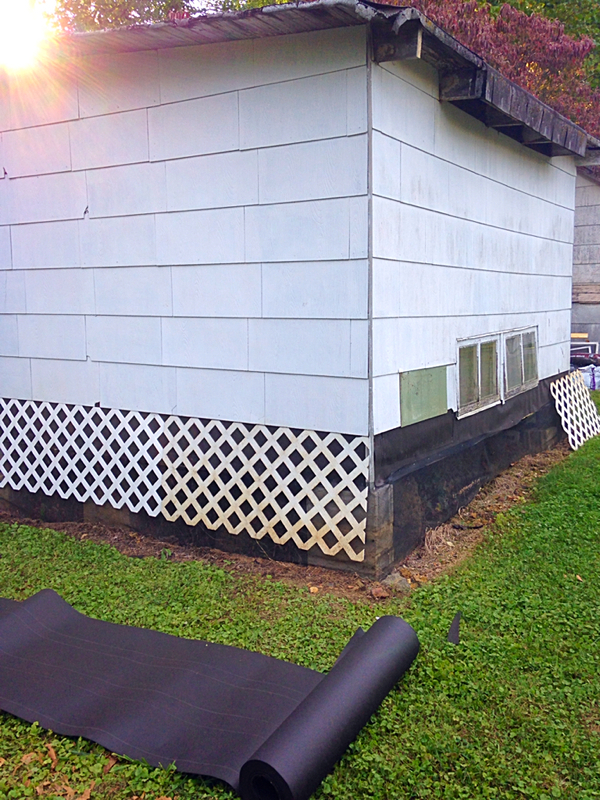 But, for now, it’s certainly less of an eyesore for the neighbors…they’ve already told me so. 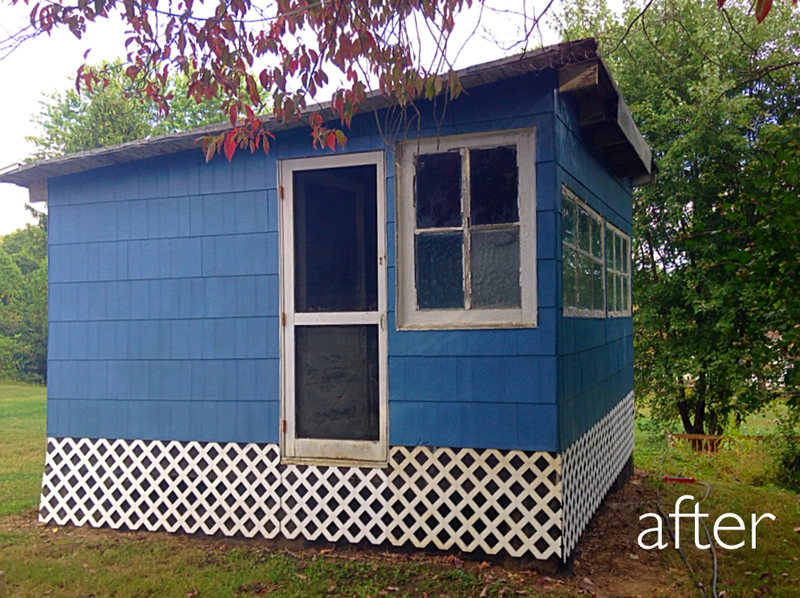 Have you converted a shed or outbuilding into something like an office or guesthouse? I’ve been pinning inspiration pics like a madwoman, but I’d so appreciate any tips from someone who has conquered a conversion. Thank you, Emory! I hope to there are many more coop related posts to come. Great blog by the way! I feel I have a lot I could offer but not necessarily sure what you are needing help with. I have committed the last few months of my life to becoming a tiny house expert ( not really but combining what I learned with what I already knew I feel I know a good bit). My wife and I are currently designing our tiny house of 400 sq ft and with that we had to take into consideration diy projects we can do to save money, heating, cooling, water, etc. do you have any plans in regards to power or heating and air? I will be making our first tiny home post soon with great ideas on all of the above. Either way I look forward to updates. I love the idea of “repurposing”. Hey Chris! We’re lucky that we already have electricity in the building. But, we haven’t decided on any heating methods just yet. We also don’t have water out there, which would certainly be nice to have. Looking forward to your posts about your tiny house! Thanks! I would be happy to share my knowledge in regards to rain harvesting and filtering. It seems that would be a cheap economical alternative if you would like running water in that area.